Run Jog 700 usato rigenerato. 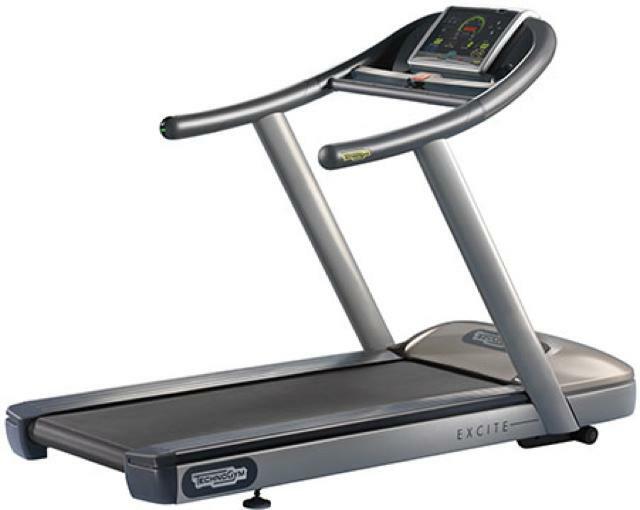 The innovative and durable Excite Jog treadmill is designed by TechnoGym for users of all ages and levels of fitness. One of the key features is its low deck height for increased accessibility of older folks and those with reduced mobility. Equipped with multi-sensory display that is 30% larger than that of similar treadmills, and clear display graphics, the Excite Jog makes workout data easier to read, follow the progress and achieve the goals. In addition, a multi-sensory experience of this treadmill engages users and encourages repeat usage. The Jog is compact and is easily placed in bedroom or basement. With jogging being very popular exercise, the Excite Jog treadmill with its powerful 4 HP engine and number of innovative fitness programs is an excellent choice for beginners and experienced fitness enthusiasts. Two models are the Jog 500 and Jog 700. The Excite Jog 700 offers 12 fitness program instead of 5 available on the Jog 500 treadmill, special Fitness Test and hand sensors. TechnoGym.